The School House, in Burton-le-Coggles, is a picture-perfect cottage for two in a lovely, quiet village, off the beaten track at the heart of the Easton Estate in the Lincolnshire Vales, near the Rutland border, within walking distance of the award winning Pub, The Cholmeley Arms. Guests have unlimited, free access to Easton Walled Gardens. Downstairs there is a fully fitted well-equipped kitchen (with dishwasher, washing machine and wine cooler) with a door leading to its own beautiful cottage garden, with vegetable patch and herb beds. The Reading Room with its library of books, dining room table and laptop desk and unlimited wireless internet, leads off the kitchen towards the lovely sitting room with a log burning stove and Freeview TV with DVD player. Upstairs, accessed via the wide Victorian stairs, is one lovely, cosy double bedroom with Super-King size double bed and a huge bathroom with double-ended bath and walk-in shower. All of our Holiday Lets are dog-friendly. Guests at The School House have full access to Easton Walled Gardens during their stay. The School House has been inspected by Sawday’s and is listed as one of their Special Places to Stay. Bed made for arrival with sheets and duvets. Easton Walled Gardens are about 3 miles from Burton-le-Coggles and as a guest of The School House, you have free access to the gardens at all times, even when closed to the general public. 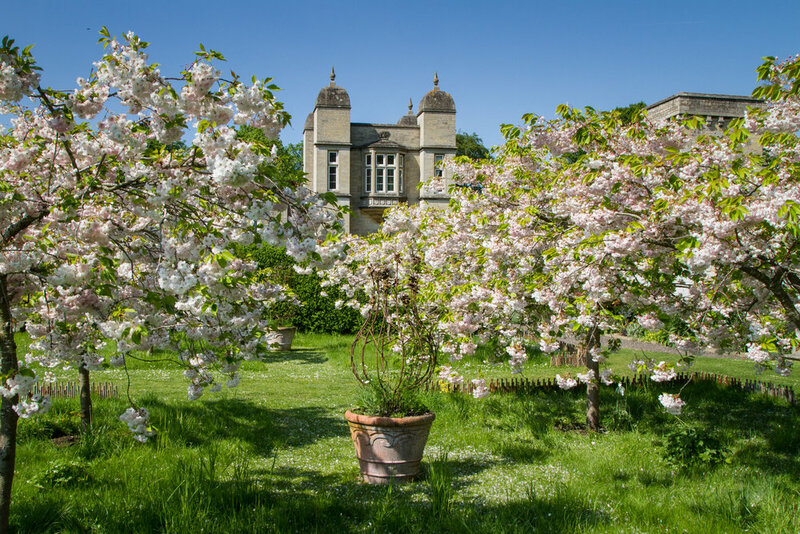 Explore the rediscovered gardens of the former Easton Hall, and enjoy nearly 12 acres of beautiful grounds, with seasonal highlights from snowdrops to sweet peas, and from tulips and daffodils to roses and meadows. You could also hire the Meadow Retreat in Easton Walled Gardens for a day during your stay. A real slice of heaven set in these beautiful gardens, The Meadow Retreat is a luxury cedar cabin - a 'beach hut' in the Gardens - where you can enjoy some peace and tranquility while you read a good book and sample the cream teas and lunches at the tea shop. Whatever the occasion, for unrivalled rest and relaxation, spend the day at The Meadow Retreat with access to the beautiful surroundings of Easton Walled Gardens at your fingertips. It does need to be pre-booked, so it's worth talking to us about it when you book your stay with us. From January 2019, we can offer guests beauty treatments in the new salon in the Stableyard at Easton. Sarah of the Revive Holistic and Beauty Salon will be offering a wide range of treatments to include Facials, Hot Stone and Deep Tissue Massage, Reflexology and Waxing etc. Sarah has over 20 years’ experience, which she will use to design bespoke treatments for you. Click here for more details. Burton-le-Coggles is a quiet, rural village with very little through traffic. An attached Victorian School House, in the Conservation Area of Burton-le-Coggles, with other buildings nearby. A traditional Victorian cottage; the door frames are lower than normal so tall people need to take care throughout. A cosy cottage best suited for two people – ideal for garden and countryside lovers. Burton-le-Coggles is on Newton's Trail, a map of local attractions. See the map HERE. Dogs are welcome, but are only allowed in Easton Walled Gardens when they are closed to Day Visitors, and shouldn't be left alone in the cottage, unless they are in a cage. There are plenty of public rights of way leading across the Easton Estate, accessible from the School House without having to drive anywhere. Easily accessible from the A1, which is about four miles away. Unfortunately, due to the age of The School House it has not been possible to make it wheelchair-friendly and as a result the bedroom and bathroom are only accessible via the staircase. You will have unlimited, free access to Easton Walled Gardens (about 3 miles away) during your stay, even when the Gardens are closed to Day Visitors.